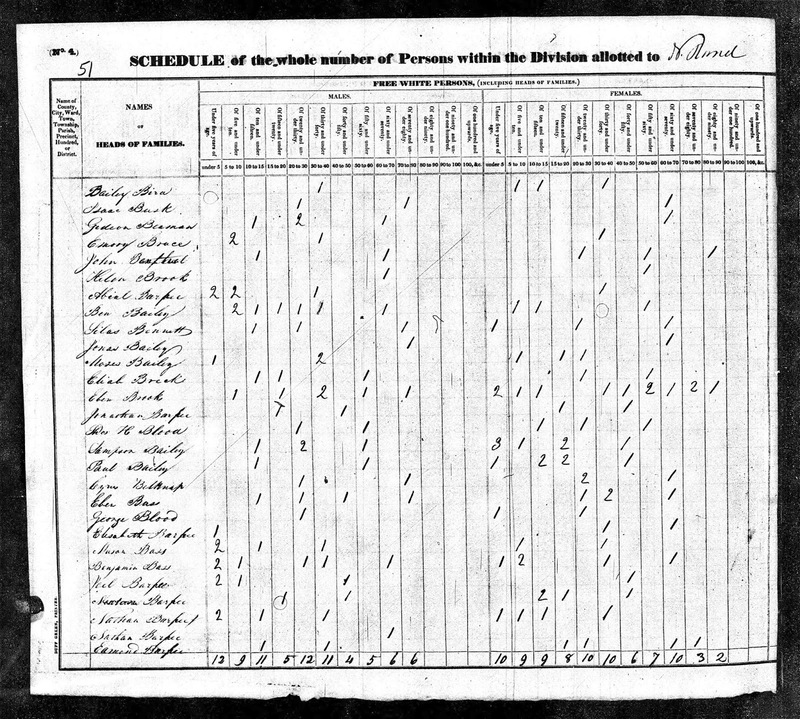 1830 United States Federal Census, Population Schedule, Worcester County, Massachusetts, Sterling town, Page 51 [penned], line 2, Isaac Buck household; indexed database and digital image, Ancestry.com (http://www.ancestry.com : accessed 29 October 2011); citing National Archives Microfilm Publication M19, Roll 68. 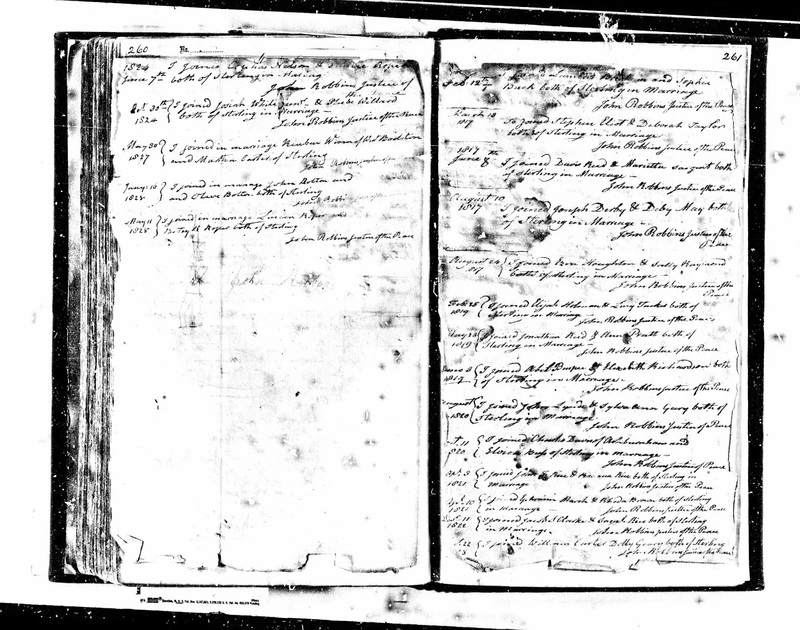 Isaac Buck (1757-1846) and Martha (Phillips) Buck (1757-after 1830) of Sterling, Massachusetts are my 4th great-grandparents. I am descended through their daughter, Sophia Buck (1797-1882) who married (1) 1817 Lambert Brigham (1794-1834), (2) about 1834 Thomas J. Newton (about 1800 - ???? ); (3) 1862 Jonathan Stone (1795-1868).